This is the book that Amazon "burned" on the day of it's release: September 11, 2018. But you can get it right now from 911TV as our gift to you for a $40 Donation. Just click the Donation button, insert at least $40 donation and the book will be on its way to you via USPS Priority immediately! 911TV has been struggling since the Google attack of 2015 which deleted 111 hour long Public TeleVision videos. Strangely enough, we have gotten almost no donations since that attack. But all of those videos are back up and many more have been added. Many Americans have been embarrassed by the Trump presidency. But Americans should also be embarrassed by the fact that this country's foreign policy since 2001, which has resulted in tens of millions of deaths, has been based on a complex deception. 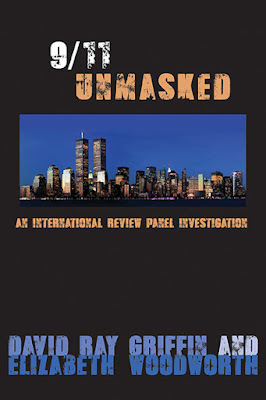 9/11 Unmasked is the result of a six-year investigation by an international review panel, which has provided 51 points illustrating the problematic status of all the major claims in the official account of the 9/11 attacks, some of which are obviously false. Most dramatically, the official account of the destruction of the Twin Towers and World Trade Center 7 could not possibly be true, unless the laws of physics were suspended that day. But other claims made by the official account—including the claims that the 9/11 planes were taken over by al-Qaeda hijackers, that one of those hijackers flew his plane into the Pentagon, and that passengers on the planes telephoned people on the ground—are also demonstrably false. The book reports only points about which the panel reached consensus by using the “best-evidence” consensus model employed in medical research. 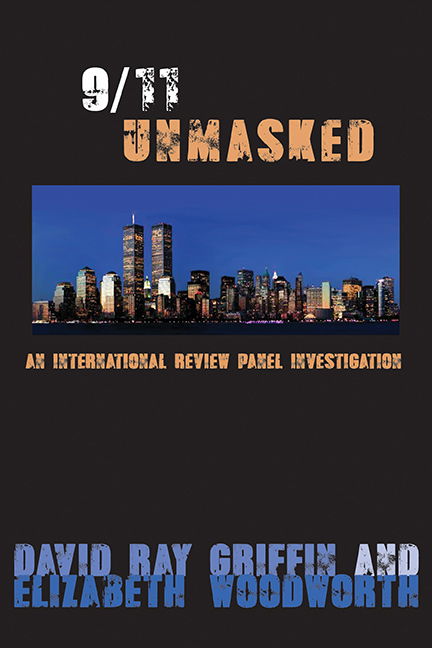 The panel is composed of experts about 9/11 from many disciplines, including physics, chemistry, structural engineering, aeronautical engineering, and jurisprudence. Elizabeth Woodworth is a professional sciences librarian who has written books and articles in the fields of nuclear disarmament, climate change, and the events of 9/11. Her “What Can I Do?” Citizen Strategies for Nuclear Disarmament was carried by UN bookstores and discussed in Canadian Parliament.